You can transfer points/miles in either direction at a rate of 1.55 points/miles in the origin program equating to 1 point/mile in the destination program. For example, you can get 100,000 KrisFlyer miles when you transfer 155,000 Velocity Points and visa versa. The ability to transfer points between the programs is most useful for Australia-based Velocity members. It is not too hard to amass a chunky Velocity balance given the aggressive way they have acquired partners and offered points-earning opportunities here to compete with Qantas Frequent Flyer. KrisFlyer miles are also more valuable than Velocity points in my book, so taking a hit of KrisFlyer miles on the way to Velocity does not make too much sense. The calculation is fairly straightforward—for every 1.55 Velocity Points, you’ll receive 1 KrisFlyer mile. Similarly, for every 1.55 KrisFlyer miles, you will receive 1 Velocity points. More simply, the transfer rate is 0.6452—so transferring 100,000 Velocity Points would earn you 64,516 KrisFlyer miles, and vice versa. The main notable restriction is that accounts need to match by name and birthdate, so you do need to do same person-to-person transfers, with no room for transferring points to a friend or family account. Do you need to be a certain status level with KrisFlyer to use points for a business or first class return flight Sydney to London? I dont fly very often and my majority of points are in Velocity and i am not a high enough status to use them to upgrade my flight haul flights so i am looking for an alternative. No, you do not need to have elite status with KrisFlyer to book premium cabin redemptions. Hi all, I’m looking for some guidance regarding the velocity to KF transfer. I’m currently Silver KF and have enough velocity points to transfer to KF to meet the Gold qualification amount. Will this count or do they have to be flight miles. To qualify for status, those miles must come from flying. How do you normally redeem Business Award tickets (SQ) for a family of 3? 3 separate redemptions using each person’s FF account or pooling everybody’s points into one account and make one redemption for 3 people? You cannot pool your miles from various KrisFlyer accounts but you can pool your Velocity Points together. It is up to you which avenue you want to go down. Note that with KrisFlyer you can nominate up to five redemption nominees—more info here. Its a bit unfair to say Velocity has devalued the points transfer, when its a mutual decision, Singapore airlines has elso devalued KF pints to VFF by the exact same amount. 50,000 ANZ rewards points gets me 25,000 Velocity (2:1) which becomes 18,500 when converted to SQ at the Velocity points exchange rate of 1.35 to 1. Whereas 50,000 ANZ points converted direct to SQ at 3:1 gets me only 16,670 or thereabouts.. So I know how I will move those points around..
What could this be? we have ticked teh box confirming the transfer but it wont allow us to proceed. It could be because that it is a large amount of points—perhaps try a smaller quantity. If it still does not work, you can do it over the phone with Velocity for a fee of $20 or 2,500 points per transaction (fee schedule). I am considering transferring my Velocity Point to KrisFlyer Miles. 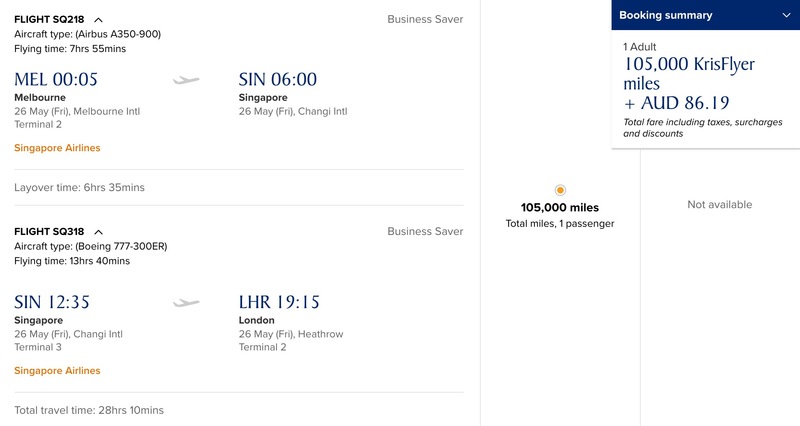 It looks like you can use KrisFlyer Miles and cash for any ticket purchased through Singapore Air, as long as you have over 980 KrisFlyer Miles and select to use your Miles and Cash once you get to the payment page. Is this correct? I know Velocity will only let you use your points on Reward seats and the minimum points needed is huge for international flights. Once converted I would have around 140,000 KrisFlyer Miles which would hopefully cover the cost of one ticket and I could pay for the remaining tickets with cash. As I don’t need to buy a specific reward seat I should be able to just wait for a good deal before using my miles and cash. If you could confirm this, it would be great. Thank you. You’ll get the most value from your points if you use them for an outright redemption, rather than using them for part-points, part-cash. However, it’s up to you how to use your points. Both my husband and I tried to join Kris today, but having filled the form in ( 4 times!) we both got a greyed out box at the bottom where we should have been able to “continue”. Maybe try a different browser or device. Hi All, Just wondering if this process has changed as I cannot see the link to points transfer anywhere? Thanks in advance! Just wanted to share my experience with transferring points from Velocity to KrisFlyer. I attempted to transfer 500k points to KrisFlyer and got an error message pop up advising there was an error processing my request, and to try again. Before I could try again, I noticed the points got deducted from my Velocity account and it also showed a deduction in my transactions. However when I checked my KrisFlyer account the points were not there. Even after waiting 12 hours. I called KrisFlyer but they saw nothing pending, so then I’ve called Velocity and they are now investigating the missing points and the turnaround time is 3 to 5 business days! Next time I will try to book through Velocity where possible as right now I am short 500k points and I was trying to book business reward seats which were getting booked up quickly! What an unnerving experience! Please let us know how it works out. Virgin called me 1 business day later to advise that there was a system glitch and they have re-credited the points back into my Velocity account. Thankfully my flights were still available so I’ve booked on Velocity via codeshare instead (minimal points difference). My KF and VFF accounts are linked. If I’ve purchased a long haul flight on SQ, is it better to quote my KF or VFF number? Is there an advantage to earning KF points in this way, and then even transferring them to VFF? Good question! It all depends on the fare class. Have a read of this guide to help you make a decision. I have 15k Le Club Accor Hotel Points. It looks like I’d be able to transfer 1:1 plus a 15% bonus to Velocity and then obtain a better exchange from Velocity to KrisFlyer than if I transferred from Le Club Accor to KrisFlyer directly. Do you see any issues or restrictions with me transferring from Le Club to KrisFlyer via Velocity? I don’t see any problems in the KrisFlyer – Velocity transfer. I’m currently a platinum member with Velocity & have just signed up with KrisFlyer in order to take advantage of this points transfer option. I’m wondering if I use my KrisFlyer points to redeem an ECONOMY reward seat on an SQ flight, would I still be eligible for the benefits of my Platinum Velocity Membership (ie priority boarding & lounge access), or because I’ve used my KrisFlyer points for the flight rather than velocity points/money i’m essentially considered an economy seat holder? It shouldn’t matter how you have booked your flight – you should receive the same benefits. i moved 30000 from VA to Kris a year or two ago when i was trying to upgrade a flight and only after i did it did they tell me that PE wasn’t available to upgrade until a couple of days late. so its hard for me to use them. how long do we get before they expire? am flying economy SA in sep/oct with family so don’t expect i can use them then, but perhaps next may when i will have a business class ticket for one? KrisFlyer miles expire 3 years after they arrive in your account. I have 260k points, is that enough to get me Perth-Amsterdam return business class? to be honest, all of this does my head in! It can get quite confusing… we do have plenty of useful guides to help you understand the complexities of various frequent flyer programs. For your specific question, you might get more responses if you post this in our Questions section where many others will be able to answer. Sorry if the question has already been asked. If my wife transfers her KrisFlyer to her velocity and we have pooling set up to pool to my account, will the transfer go through? Or will the points be stuck in some kind of limbo? The transfer should work fine and the points will end up in the primary family pool account. The transfer pre-bonus is: 1.35 KrisFlyer miles, you’ll receive 1 Velocity points. With the 15% offer does the case now stack up to transfer to Velocity? Chris, sorry ignore question re points, i worked it out. Just a question on the waitlist – do you have any experience of the waitlist and the chances of getting the seat? Hi Guys, does anybody know how long it take to appear the points on the other account after transfer? Hi, would love some recommendations please! We’ve got about 215,000 velocity points and are looking to fly to London return from Sydney, 2 adult and a one year old son end of July next year. Looking to fly Singapore Airlines with a stop over in Singapore each way and fly out of Barcelona returning to Sydney via Singapore. Which would be the most cost effective way to use the points we have? Straight Veloicty points and pay for what is left or transfer to Singapore KrisFlyer and do it through Singapore airlines direct? I’ve tried to follow everything here, but it’s just confused me further as i’m new to the points flying. Hey Chris – can I suggest you post this in the Questions section – you’ll get more visibility and answers if you do. Thanks! It’s hard to say what’s going on without seeing your account, but in answer to your question, there’s no way of combining status in both KrisFlyer & Velocity, just redeemable points/miles. Great article! I have a Westpac Altitude card, am I better off converting my Altitude points into KrisFlyer points or to Velocity then convert to KrisFlyer? Can you tell me if there is a maximum number of points you can transfer in either direction in any given year or transaction. Hi all. Newbie question, I hope someone can help. I have around 100k krisflyer points, with 30k expiring at the end of August and another 30k expiring in November. If I moved these all to my velocity account, could I give the points a new lease of life? Or would the expiration stay the same? Sorry if this is a silly question! I’m new to all this. Once you move them to your Velocity account they are then Velocity points, KrisFlyer no longer knows or cares about them, and they are subject to Velocity’s expiration rules, which off the top of my head are your points never expire as long as you have some activity in your account every 18 months. However, you will incur the transfer tax if you move them over so moving them back and forth is not an option for retaining them. Hi Keith, I would love to find out how you were quoted 80,750 from Melbourne to London as it currently reads 150,000 points? via Kris flyer site. Just did a search for a one-way, one-person trip MEL-(SIN)-LHR in business class, and shows up as 95,000 KF miles, which then with 15% online booking discount is 80,750 KF miles. You might have been looking at first class, which is 150,000 KF miles prior to discount, but 127,500 KF miles with 15% discount. Both seem to be just under $500 in surcharges. There is another reason to consider transfers to Velocity from Krisflyer for those who occasionally fly with another Star Alliance carrier. My family of 5 is flying United (17,000 miles) but is unlikely to fly them again within the next 3 years. I enrolled all of us in Krisflyer, earning 17,000 points each. They don’t have family pooling. But If I then transfer all 5 to Velocity (at 0.74 conversion rate 17,000 becomes 12,600 Velocity Points), then Virgin does family pooling, so I end up with 63,000 Velocity points in my account. This is a useful amount, almost enough for return flights SYD BNE for the whole family. Much better than 17,000 points that may be left to expire with United or Singapore Airlines. Is it possible to earn status flying on an sia saver award business class seat booked with points.? If so, would it be possible to credit the status to another star alliance scheme such as Aegean to to bump up a tier quicker? One major benefit of the transfer of points between Singapore and Virgin Australia is that you can transfer soon to be expired points from KF to VA, where points never expire if you keep the account active. We should build a shrine to Michael Kao. Reading his comments are just scintillating. Hey, thanks you guys, I recently tripped DRW-SYD-DXB-LHR-AMS for 80,000 points AA points on QF1 in F. On the way back I switched to EK in F and did AMS-DXB-KUL for 127,000 QF points and had to do it hard in J on MH back to DRW :-). One thing I noticed was how much more the taxes were redeeming QF points v AA points. Like about 4 times as much! BTW EK has it all over QFin the F stakes…in case anyone was wondering. Most of Point Hacks is essentially a shrine to MK. He’s a legend. Hey Stephanie – unfortunately it’s not that straightforward. SA might apply different earn rates for Velocity vs KrisFlyer for your specific class of ticket. The only thing you can do is find out the fare code (a letter, like Y or J) and then check with KrisFlyer and Velocity to see how many points you’ll earn in each program. KrisFlyer also has a 5,000 point minimum conversion don’t forget too, although a trip to SA should get you over that mark I’d hope. Can you confirm that for example. If i was to transer 100k Velocity points to KF that i would get 74k in points. But after that transfer if i were to say change my mind would i get 100k in VFF points back if i transferred 74k in KF points back? The KF website suggests not. Hey Michael – no, you wouldn’t get the 100k Velocity back in that example. The 35% difference in transfer rate happens both ways – it’s essentially a transfer tax in either direction. I am looking for KF redemption on star alliance partners. Is it better to earn KF miles on VA domestic flights or Velocity points and then transferring them to KF and 1.35 to 1 ? Make sure if you guys do decide to go business in Singapore Airlines using KrisFlyer miles you pay for the whole flight. Upon investigation for my upcoming trip I saw that for me to upgrade my flight I would have to pay 45,000 Miles but if I got the whole flight it would only be 10,000 points more. Unfortunately I didn’t have enough Miles to get a business flight. I am already an amex platinum reserve cardholder and I received the 110k bonus points with the velocity platinum card. So, even though the t&cs state Im not eligible for the bonus points, it doesn’t seem to be enforced. Just to clarify that little clause about this only being open to NEW Amex customers within the last 12 months… Does having the more basic Velocity Escape (Amex) card disqualify me from the 100,000 point bonus should I decide to upgrade to Velocity Platinum? (Sorry, new to the card game). Yes, it would disqualify you unfortunately. Can you advise what the transfer time is from Velocity to Krisflyer? Yep, this is a great way to use Velocity points. SQ Saver availability to Krisflyer members is much more generous and don’t forget the top up system for any points shortfall. @Anita – Consider searching awards in first class when business not available, especially you have >1.6M points! (I envy you!) Although you might need to ex-SYD/MEL. Otherwise, since you can transfer to VA points as well, you might as well take the 15% promotion and fly with Etihad. You will be surprised how wide open the availability is! Even though more points needed (but you already got 15% bonus points) yet you save a lot of cash from fuel surcharges. Depending on where you depart from, in next Jun and Jul you will have the new Studio business class, or you can indulge your self more with the Apartment! (And enjoy free chauffeur and spa treatment at AUH)! Also, need to fly 4 adults to the US from Aus in 2016 and 2016 june/july….. Seems like the best option, reading your previous posts, would be to transfer enough points to Velocity in early April in 2015, and then 2016,, to enable booking flights business virgin to San Fran +/- east coast extension…. Although you might want to consider taking the 15% bonus if you’ve decided to fly VA. Westpac don’t always participate and 15% bonus is as high as it gets so you mightn’t get another chance before Apr to Jun next year. When you are talking about this big amount of points, 15% is very significant! Also it is probably not too early to secure a seat now for Apr next year. If you find availability on the date you want, you should transfer points immediately and secure it ASAP. It takes a couple of days for the points to go through. If your plan changes, all tickets are fully refundable (with $60 cancellation fee or 7500 va points with VA, or $30USD with KF) so it’s a lot more flexible than many discount economy tickets. That’s why I love award travel! I always secure the seats even if the plan is just tentative. It’s much easier to get refund than trying to find seats later on. But that’s me. To travel with 4 adults is always gonna be difficult. VA releases 2 seats at a time (I think, check with VA to confirm) They may release more as time approaches if they still have a lot of vacant seats, but you need a contingency plan. If I were you, I would book 2 in J and 2 in PE. If 2 J seats becomes available later on, then cancel those 2 PE tickets and get these 2 J. That’s the only way you can be certain all 4 of you will be traveling together even if no further J seats get released. Altetnatively, you might have to split up the group and travel on different days. The other alternative, as you have altitude points, is to fly to Europe with MH (altitude can be transferred to enrich program) I know MH is not very popular now, but their redemption rate is darn cheap (51000 one way to Europe in J!) and award availability is wide open. You won’t have trouble finding 4 J seats! Downside is you can’t cancel with MH. Once booked, you either fly or you forfeit. Lastly, search the availabilities before you transfer the points. Who knows, you might be lucky to find 4 suites with SQ on the date and destination you want! Could use the qantas $ elsewhere…but needed to lock in the dates…. but then cannot use for KF and costs 35% to transfer…. Mark, How far in advance did you make the bookings? what level did you pay for your flights? I have >1.6 million altitude points and wondered about using them to fly to europe june-july next year. I spoke to Kris Flyer support, but In sept/oct all business seats were booked out, at any level. (saver and the more expensive redeem level). Not going to use the points for that flght. How early did you book in advance. I have redeemed AMEX points via Singapore Airlines previously with great success. Always managed to get a first class seat on the days that I wanted to fly (have done it 3 times so far – June, July and December this year). Only restriction that I have found is that their appears to be very limited availability for first class seats on their A380 flights – no problems on their other aircraft. I can give you my recent experience on business rewards seats from Sydney to Dusseldorf with Etihad, booked for late August to late September next year. When I logged into VFF (Gold) there were no reward seats that show up, but when I rang, I was able to secure my flights within 48 hours of my proposed date of travel. For the outgoing trip, I needed to fly 4 days early, the return date was spot on. Within a week there seemed to be availability on one, max two days for business, more for economy. I was looking to pay for half of the sector and use points on the rest but as they are considered 2 different bookings the price of the one way ticket is about 20-25% dearer than half a return ticket. So I paid for the ticket completely with points (250k) + 210 AUD in taxes. The outgoing flight to AUH is on the 777 with the stripy seats, and the other 3 sectors will be on the new business suite (sweet!) – 787/380. I note from the upgrade chart for SIA that it would cost 120k KF miles to upgrade from economy to business from SYD to say FRA (for the saver fare), which would be 162k VFF. What the availability would be like I would also be interested to know. Would be interested to hear if anyone has any comparative experience for long haul business to Europe. I’m assuming that date availability would be key but if anyone has any general experience with the availability for business reward redemption for both and also points upgrade availability. I’ve been looking at Velocity business redemption and even where there seems to be availability it is greyed out and I’m not able to click the link… might be an issue with my status… not sure. To me it seems they are being tricky. If you transfer from KF to VF 1.35 turns to 1. If you transfer from VF to KF 1.35 turns to 1. There is essentially a transaction fee of 0.35 points when you transfer. To put a different way each time you transfer KF gets rid of a liability of 1.35 points and VF gets a liability of 1 point and the same works in reverse. The airline is the beneficiary. I have a small balance of around 1250 Krisflyer points expiring soon, and was hoping for a minimum transfer of 1000 so I could rescue them from expiry by transferring to Velocity. No such luck with a 5000 minimum. And with the 1.35:1 transfer rate, even if I top up Krisflyer from Amex so I can get the 5000 min for transfer, the conversion rate to Velocity to “rescue from expiry” means it’s still a losing proposition. BTW, no points in Velocity to transfer back the other way and redeem either, and no other plans for Krisflyer award redemption. I guess I will have to let them expire! Not yet… but they’ve got two weeks left! I’m sitting on lots of Altitude points, and need to fly 3 adults to Europe June – July in 2015. Best place to transfer? What are the odds of getting upgrades and on which carrier? Best place to transfer is to book the airline with availability for the dates/routes you want. Look that up first. I’d look for Krisflyer initially. I agree with you 100% there are strength in both programs. VA’s weakness is in Asia, especially after Jun 2015, EY will no longer stop over in SIN, leaving SQ the only option. Using VA points to redeem SQ is ridiculously expensive! 80,000 one way to SIN!!! No, Thank you! I haven’t tried but I suspect you will be charged fuel surcharges on top of that to fly SQ, and assuming VA has access to more award spaces than the other Star Alliance partners, otherwise there is no chance of redeeming any flights to Asia more than 14 days out. This is where transferring of VA points to KF will make sense. I can transfer Westpac altitude points at the same rate to Velocity and KF 2:1 interesting if this has any meaning. Similarly Amex has the same transfer rate for Krisflyer and Velocity, (1:1), so don’t read too much into existing rates. Or is the fact that CC rewards are on equal footing a good indicator of their value. If there was a higher rate KF to Velocity you could potentially double up by transfering CC rewards to KF and then to Velocity. It’s almost unilateral comment that KF points are more valuable than velocity, and almost everyone’s opinion is that the ratio will be more velocity to KF. Many have predicted 3:1 ratio. 1. Better availability, especially AUS-US flights. 2. No or much lower fuel surcharges, which may outweigh the difference in points. Let’s take BNE to LAX in business class for example. Velocity requires 94000 points plus $103.70 in tax, (or 110000 with no tax! ie. real free flight!) compare to KF which requires 85000 points plus $733.16 in tax and surcharges! A whopping $629.46 difference for a saving of 9000 miles! That is about $0.07/mile! For the same route, VA has availability almost everyday if you book far in advance, where as SQ is still wait listed most of the time on saver award, and it is a lot more convenient to fly VA directly rather than via SIN and NRT! 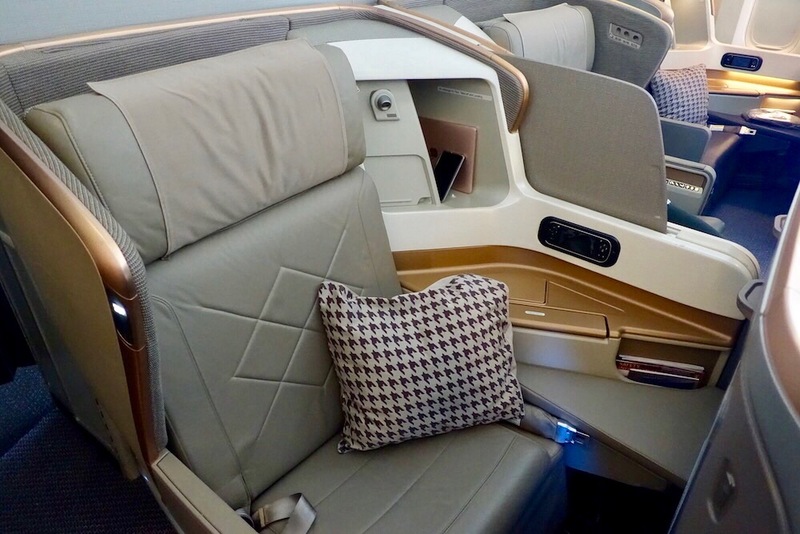 Also with the new VA business class coming up, it is arguably better product than SQ’s regional business class which is configured at 2-2-2 and with angled lie-flat. The value of KF miles really comes down to the ability to redeem first class suites. Unfortunately for poor unfortunate souls like me that lives outside of Sydney and Melbourne, which makes about 15 million of us, we don’t have first class service with SQ! 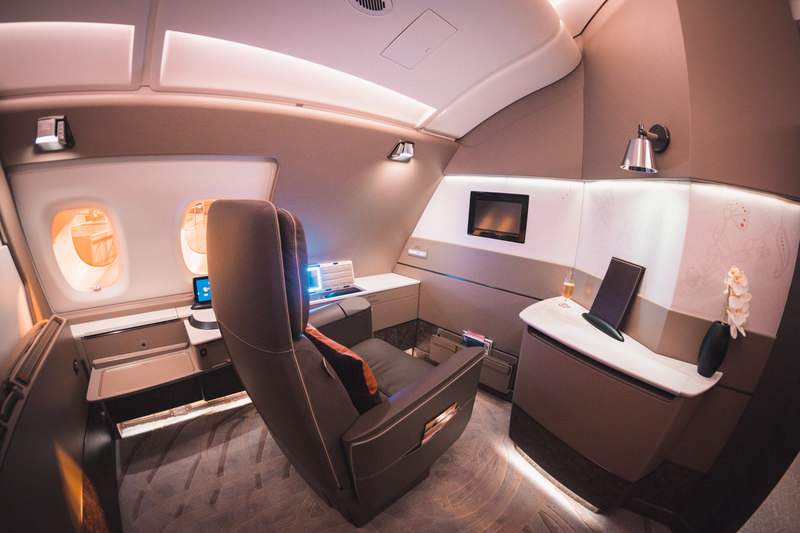 Which means unless we fly to SYD/MEL (with the added costs of connecting flights +/- accommodation, and the risk of missing the award flight if the connecting flight is delayed/cancelled), we can never enjoy the benefits of first class suites as SQ don’t allow mixed cabin online. EY on the other hand, do look after people outside of SYD/MEL, and they will offer first class suites to BNE/PER on their new B787. So in this regard. VA is still more useful. I guess my point is, the benefit is definitely not just from VA to KF, the other way may be beneficial too. So I wouldn’t be surprised that the transfer ratio will be something like 3:1 both ways, or 1:1, but with a cap of something like 20000 miles, which makes it only useful for top up only. Michael – thanks as always for your detailed comments! You have it nailed I think. Velocity and Krisflyer are actually complimentary partners, and this is the reason the hookup will be useful, and I hope, successful. Each program has their own redemption strengths. I can’t however imagine me moving many KF miles over to Velocity if the exchange rate is poor – it’s just easier to accrue Velocity miles here. Praying for a 1:1 redemption rate – I love flying Singapore airlines!